Most of us rely on our cars to get us to where we need to go, whether that is to school, work, or on errands. When your car suddenly stops working or has a problem, you are likely worried that you won’t be able to get where you need to go and that it will cost a lot of money to get it fixed. Dealing with an automotive problem can also be stressful if you’re not sure how long the problem will take to be repaired, and you have places to go and things to do. 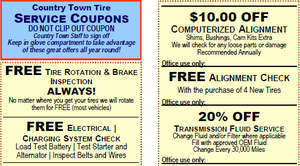 At Country Town Tire & Auto Service Center, we offer car repairs at reasonable prices. Our team has experience with fixing a variety of vehicles, whether you drive a small passenger car or large truck or van. We are a one-stop auto shop, which means we can perform car repairs, maintenance, and more on your car. Our technicians work quickly and efficiently to get you back on the road as soon as possible, eliminating the stress that can come with wondering how you will be able to get to work or school. Visit one of the five Country Town Tire & Auto Service Center locations, in Hickory, Bristol, Lincolnton, Morganton, or Taylorsville, North Carolina, and you will see how we are different than other auto shops. We care about our clients, so we will take the time to make sure we have correctly diagnosed the problem and can fix it. Our team wants to make sure you will be safe when you leave, so we will double-check to ensure everything is done correctly before we finish. 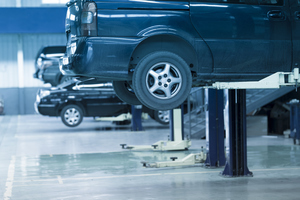 We provide a variety of automotive repairs on just about every type of car, truck, SUV, and van. Maintenance and basic repair services include lube, oil, and filter changes, vehicle inspections, repair and replacement of belts and hoses, and tire services. We can also tackle more complicated car repairs, such as axle, CV joint, and driveshaft repairs, diesel engine service, electrical systems, engine diagnostics and performance, suspension service, steering service, cooling system repairs, alignment, exhaust systems, and brake service. Additionally, we have a wide selection of tires from the top brands in the industry, including Bridgestone, El Dorado, Firestone, MICHELIN, Goodyear, BFGoodrich, and more. Another benefit of bringing your vehicle to our team for car repairs is that we offer reasonable pricing. We will never try to overcharge you or encourage you to have a service or repair done that you don’t really need. Our team members are honest and trustworthy, so you don’t have to worry. We treat our customers like part of the family. Stop into our Hickory, North Carolina shop or one of the other locations to learn more about our services today. Our shops are open daily at 7:30 a.m. to accommodate your busy schedule. Several of our locations also stay open a bit later in the evening, for your convenience. No matter what you need, you can get the right services for your vehicle with our experienced technicians.